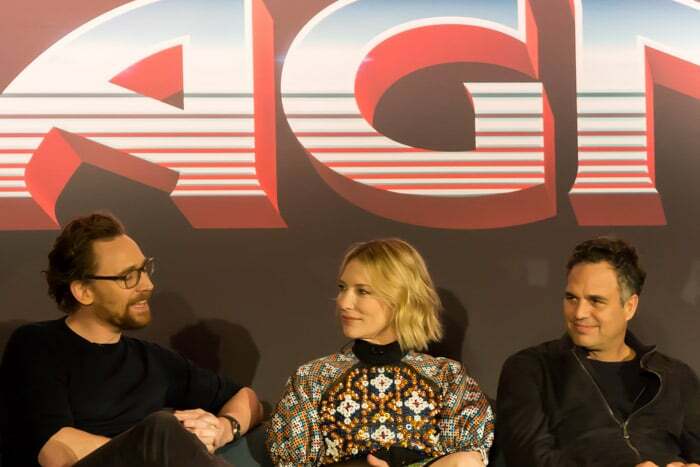 Find out what actors and the director from Thor: Ragnarok had to say about making the movie, working with each other, and being under the direction of Taika Waititi at the Thor: Ragnarok press conference. 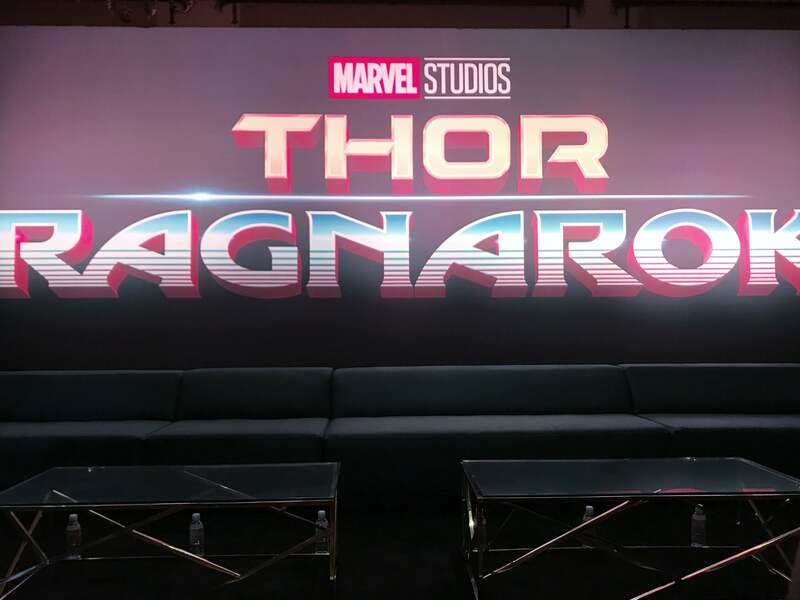 One of the coolest experiences of the entire Thor: Ragnarok event, other than walking the red carpet and watching the movie with all of the stars, was getting to sit in on the actual Thor: Ragnarok press conference. I had no idea what to expect going in, but it was seriously amazing. 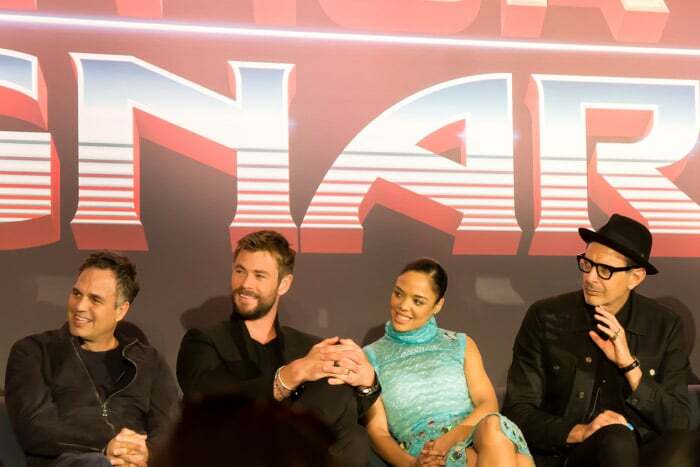 All of the main stars (Chris Hemsworth, Mark Ruffalo, Tom Hiddleston, Cate Blanchett, Tessa Thompson, Karl Urban, and Rachel House) from the movie were there as well as director Taika Waititi and Marvel President Kevin Feige. 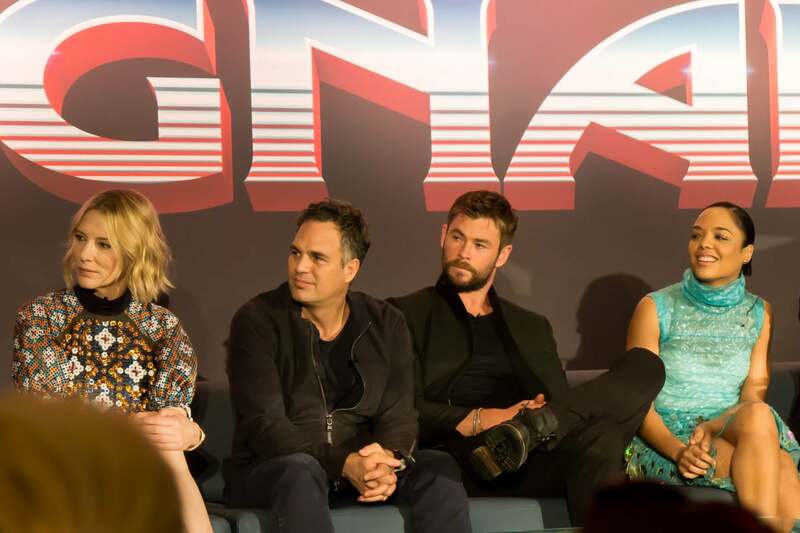 We actually had the chance to do small group interviews with Taika Waititi, Kevin Feige, Rachel House, and Karl Urban earlier in the day, so for me, this was all about getting the chance to hear from the main stars – Chris, Mark, Tom, Cate, and Tessa. Honestly, until I read the transcript back, I couldn’t have even told you what questions were asked or what anyone said. I was so entertained by the interactions among the group and watching all of the facial expressions that I think I blocked out a lot of the answers. I just remember a lot of laughing and swooning when Chris Hemsworth spoke or smirked at an answer. That accent. Luckily for me (and all of you), I have a transcript, so I can actually tell you what they said! And even better, the transcript included some of the little comments from the cast that I didn’t actually catch the first time around, and they made it even better! The host started the conference off with a few of his own questions, starting with one for Chris Hemsworth, asking him what made this Thor different than all of the others? Chris Hemsworth: Taika Waititi, basically. I think we all had a vision, an idea, and a want to do something vastly different than what we’d done before, and take it to a difference place. And that meant kind of doing away with what we knew, and just reinventing it, and it all came from his crazy, wonderful brain, and his inspiration, and his pushing us every day on set, and constantly encouraging us to improvise, and explore, and take risks. And it was one of the most enjoyable experiences I’ve ever had on a set, and a film that I feel the most proud of, just because of this – this whole team, and the collaboration, and the fun we had. The host then asked Marvel President Kevin Feige why Taika and the other characters were a good fit for the movie. Kevin Feige: Well, I mean, Chris sort of said it. We wanted a new sensibility. We wanted to take Thor – and if you look at everything Chris has done as this character, there have been moments of humor – moments of humor throughout. And we wanted to build on that. And if you look at the movie, it’s got the epic action. It’s got Thor arguably more powerful than he’s ever been in any of the films, with his powers going up against the Hulk, but at the same time embracing what Mr. Hemsworth does better than anyone up until now has ever been able to see, which is his acting chops expand to comedy in an amazing, amazing way. And Taika giving them the confidence to explore that and to try things. The host finished his questions with an easy one for Rachel House, who plays Topaz in the film. In a film as funny as Thor: Ragnarok, Rachel should get an award just for her ability to stay straight faced during everything going on around her. Rachel has actually been in some of Taika’s previous films and the host started off by asking her what the difference was between being in those little independent films and this big one. Rachel House: Well, he’s [Taika] a lot better dressed, because usually we’re running around in the mud, and the snow, and the rain. So it was wonderful to come in each day and see Taika in a suit and Italian leather shoes. That was pretty much how the press conference went. Similar to our group interview with Taika Waititi, someone would ask a question, someone would answer, and somehow in the middle of it all, someone would tell a joke, and we (the group on stage + the audience) would start laughing. You could tell the cast loves this film and had so much fun making it together. That totally comes across in Thor: Ragnarok, and I actually mentioned the fun in my review of the film! After a few laughs, they opened the floor up to the audience for questions. I was afraid I’d totally freeze or start mumbling if someone handed me a microphone, so I didn’t ask any questions. There were some good ones though and some ones we’d already heard answered in our interview with Kevin Feige earlier that day! 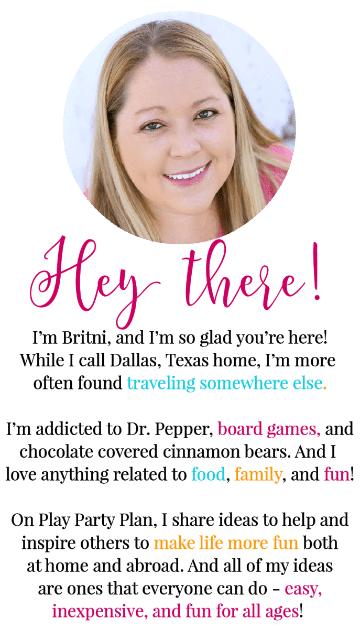 I’m not going to go through every individual question because there were a lot, but here are some of my favorites! You can read any of these posts for more details on Thor: Ragnarok and exclusive details from the cast and crew! The first questions of the day were for Taika and asked him about the film looking like a heavy metal album cover and the use of Led Zepplin in the film. Taika told us all about why he chose to use Immigrant Song in both his pitch and the movie in our interview earlier that day, so it was fun to hear Kevin Feige’s take on the experience meeting with Taika about his pitch. Kevin Feige: Filmmakers sometimes will say, using clips of other movies, here’s what I have in mind. And sometimes they’re not good. Most of the time, they’re okay. His [Taika’s] was amazing and was scored to that Led Zeppelin song. So from the beginning, that song kind of defined what Taika was going to do with this. That it’s in the trailer, that it’s in the film, all from that first meeting, and from one of his first instincts of this movie, is very impressive. 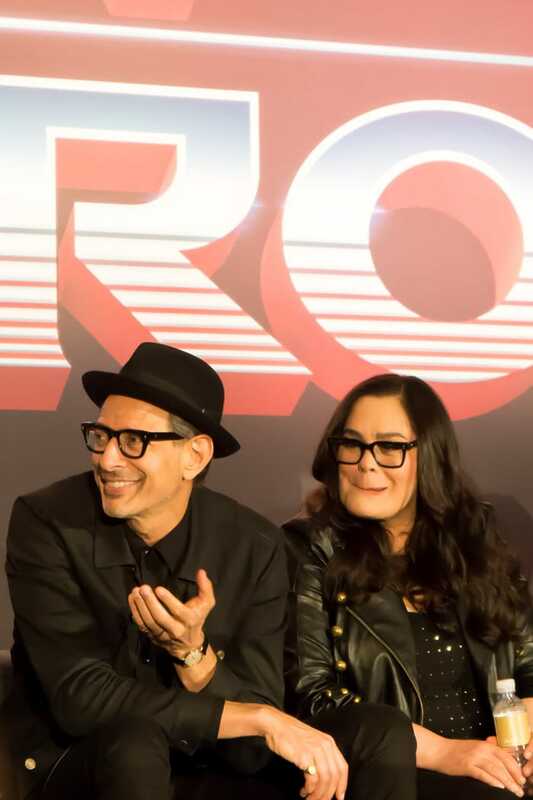 One of the most fun parts of being in the press conference though was the responses from the other actors sitting on stage when answers were given. 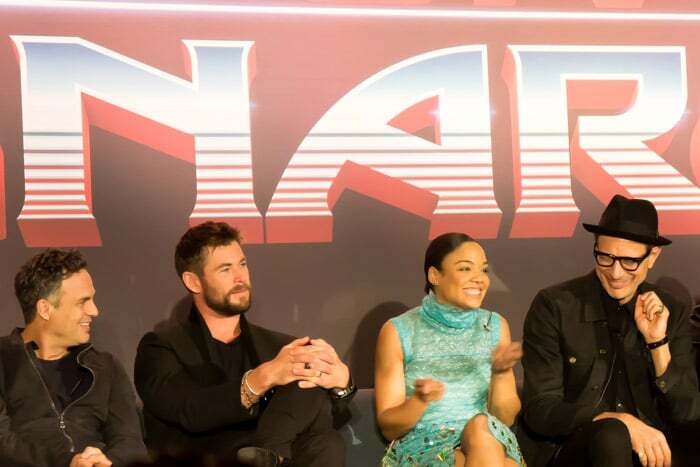 After Kevin and Taika talked about using Immigrant Song in the pitch, Chris Hemsworth piped up and said “I didn’t know that,” and Tessa Thompson mentioned that she’d forgotten that. The song seriously is perfect for the film! The next question was for Mark Ruffalo who plays Hulk, and the question was whether or not he would be interested in doing a full stand-alone Hulk movie. I’d love to see a stand-alone Hulk movie, well maybe another Hulk + Thor movie would be even better! Kevin actually gave us some insight into why a stand-alone Hulk movie may not be in the cards soon in our group interview earlier that day. So for now, I’m happy that Hulk is in all of the upcoming movies! The next question was for the Grandmaster himself, Jeff Goldblum, asking him what it was like joining the Marvel Universe. 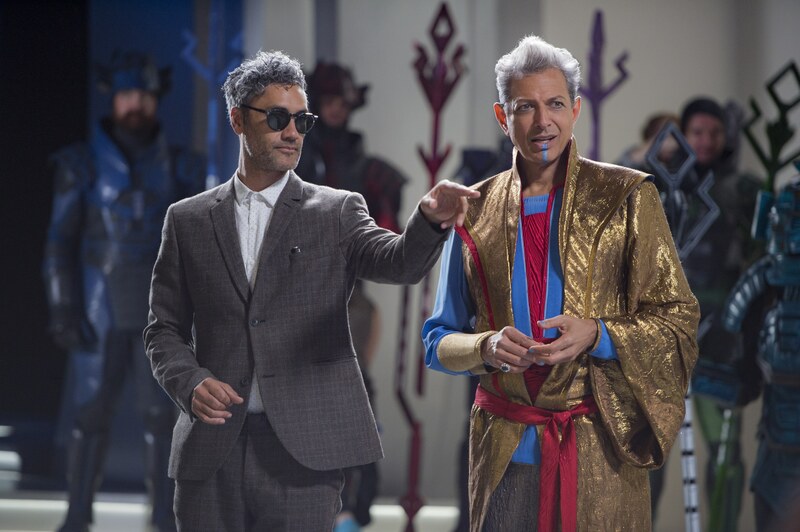 Jeff Goldblum: Joining a group like this, a cast like this is a dream come true. Taika – working with Taika – that was my first, you know, connection point to the movie. We had a meeting and hit it off, and he said what we were gonna do – improvise and have fun. But then, you know, the whole upper tier of creative leaders do something unique. They know how to make these epic productions and popular movies, but they want to make good movies. And they somehow uniquely know how to do them that feels to me like an actorly, workshopy, charactery, improvisatory, delightful experience, and make a movie that I think skins the cast like this is just – I’m grateful, overwhelmingly grateful. Pretty sure Jeff made up half of those words, but that’s totally just him. You think he just plays that role on screen but nope, he was like that during the press conference too. And it was hilarious to watch, especially as one of the women on the stage by him made cat sounds after his comment. I swear they were playing one of those improv games where people are given lines before a show that they have to sneak in, and skinning a cat was Jeff’s line. Only he could actually put that into an answer and it not seem totally strange. Apparently Jeff is a pretty amazing musician and actually played some on the set. A member of the press asked if any of his music secretly made it onto the score of the film. And while it didn’t make the final cut because his jazz sounds weren’t quite what Taika was feeling for the heavy metal soundtrack type film, his fellow actors all spoke highly of his talents. Maybe in the next one! One of my favorite moments of the press conference was when someone from the press asked Cate Blanchett if there was healthy competition on the set between Mark, Chris, and Cate. Instead of writing the entire thing up, here’s a video instead. It’s way better coming from two Australians and one Kiwi with a Mark Ruffalo in the middle. After finishing off the competition conversation, another member of the press asked Cate what it was like fighting with Chris Hemsworth. Her response was immediate. Cate Blanchett: I didn’t do enough of it, I kept wanting to do more. Chris Hemsworth: You wanted to hit me. Cate Blanchett: No, look it was, it was hugely enjoyable for me. And apart from working with these guys, obviously, the chance to finally, in my deep middle age, to get fit, and to wear that much lycra was really exciting for me. But I worked with Chris’ trainer, Zahki for 20 minutes a day, which doesn’t sound like much, but it was intense. And Zoey Bell who is, I mean an extraordinary actress in her own right, and director in her own right, but she was my – blessed every day with the fact that she was my stunt double, because when I started, I had to manifest these weapons, and I had to throw them, and I could see Taika’s disappointment as I threw it, and I said, ‘Ha.’ And I had to stop making the noises because I’d go, ‘Ha.’ And so I had to close my mouth. 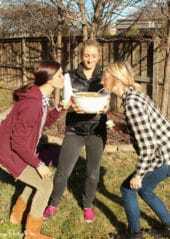 And so eventually Zoey suggested that I put some sugar, which was deeply humiliating, sugar packets in my hand so at least I could throw something and be real. And then yeah, Zoey helped me with little things like that. She was a great action director. So I moved from the humiliating to the exhilarating in a matter of five days. Mark Ruffalo: I’m so glad I’m not the only person he looked at like that. Cate Blanchett: I know. It was the suit that you were wearing. It was really bad. Mark Ruffalo: He looked disappointed in me a lot. Taika Waititi: Lucky they don’t have an Oscar category for throwing. Next up, a member of the press asked about about the possibility of Tessa Thompson doing a solo Valkyrie movie. Tessa responded with pretty much the same thing Kevin Feige told us in our group interview when someone asked about an all female Marvel movie! And I didn’t hear this during the actual press conference, but I’m dying laughing over here as I’m reading the press conference transcript. 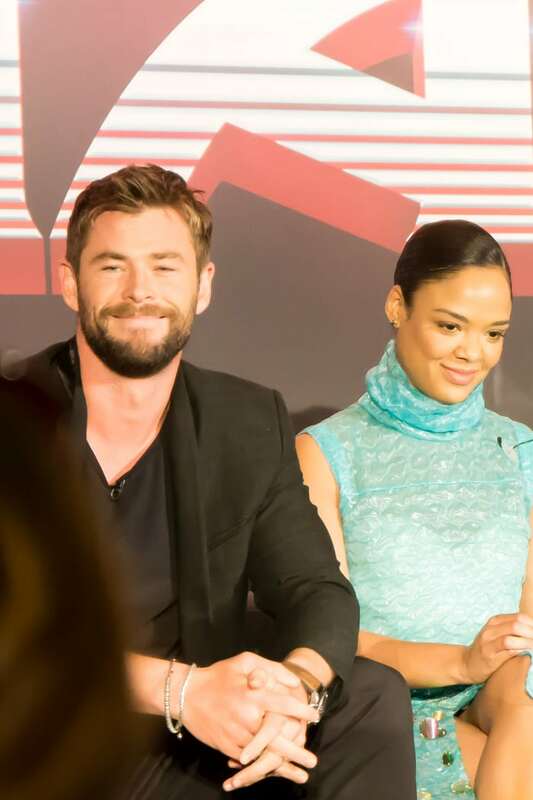 After Kevin mentioned the all-female movie, one of the guys (I’m guessing Chris Hemsworth or Mark Ruffalo) piped up and said, “The Femengers,” and Tessa Thompson responded, “The Femengers?” And Chris said to chop that. 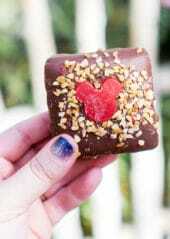 Totally reminds me of the conversation at around :50 in this promo video, and the inspiration for my Revengers shirt! The next question was for Tom Hiddleston, who plays Loki in the movie, and the question was basically, will Loki ever change like Thor did in this movie? 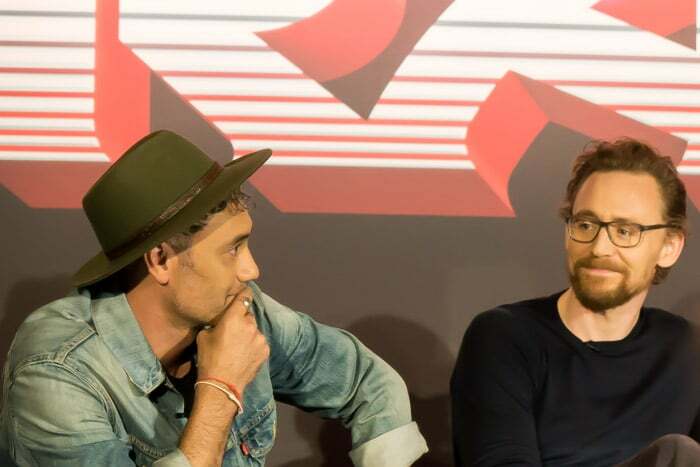 Tom Hiddleston: I did ask Taika if I could get a haircut as well. But his answer was a quick ‘No.’ It’s interesting, I mean in a way, this film is about the development of the relationship between Thor and Loki. Thor has evolved, and grown, and matured, and Loki in a way is stuck in his struggles of the past. There’s room to grow, and I’m still here. And we’ll see where he goes next. Next up the host brought us back to Karl Urban, who plays Skurge in the film, and is one of the nicest guys I’ve ever met. He literally shook every single one of our hands when he came in for our group interview. The host asked Karl about his experience working with this Marvel team, Taika, and the cast. Karl Urban: I really appreciated the environment that Taika created on the set. It was fun, it was focused. He would often play music. You know, quite often, you’d be in the middle of a take and he’d go, ‘Oh, try this or try that.’ And it was just wonderful to – felt like everybody had your back – we had fun. The host then asked what Taika’s go-to song on the set was. The answers from the cast were varied from Need Somebody to Love, Lou Reed, Led Zeppelin, and Bowie. But the best was Cate Blanchett’s response, which turned into the most hilarious part of the entire press conference for me. Again, this is way better watched than read, so here you go! And for the record, the song is by Yo Gabba Gabba, not Go Yabba Yabba. The next question brought it back to Taika asking him what the most difficult part of making the film was. His response took all of about ten seconds and had the entire crowd and stage laughing hysterically. Then he got more serious, or as serious as Taika ever gets. Taika Waititi: It was really like what to choose for lunch. The main thing – so many options. It’s actually, it’s actually like actually keeping up your energy, creatively. Like my shoots [for his previous independent films] are very short, and I like to work super-fast. All my shoots, about 25 to 28 days, and by day 30 on this, I was like, ‘Well, no more ideas, I’m done.’ And you know, you’ve got 55 more days. And so, I had to like do some meditation, and like try and chill out and just, just to kind of keep my creative energy, just keep it going throughout that whole length of time, cause the amount of stress, or the exhaustion really does take its toll, and you don’t realize it’s happening until it’s too late, and then you can’t feel your legs. He then went on to talk about the post-production process. Taika Waititi: Yeah, my favorite thing is shooting. I love being on set with people, and laughing, and having a great time, and being creative. Then you’re stuck in a dark room with one person, trying to, you know, make sense of this whole thing, you know for almost a year. And so that’s a whole new journey of exhaustion. And then you can’t feel your arms after that. Taika confirmed that all of his senses and feeling in his limbs have since come back. Finally a member of the press asked Chris if he missed his hammer because apparently some actors love their props. Not Chris. Chris Hemsworth: It just helped to shed anything too familiar. You know, I feel like, well holding the hammer, or even the wig in the previous costume, certainly just put me in a place, and set me on a path of what I already knew. And I wanted it to be unfamiliar, and so everything from the hammer to the costume to the hair, made me, and allowed me to move differently, and forced me to move differently, and so that was a great thing. Apparently shedding the hammer and the hair worked because Thor: Ragnarok is totally different than the previous Thor films and different than anything so far in the Marvel Cinematic Universe. And in this case, different isn’t just good, it’s great! I need to see it again to be sure where, but it’s definitely high up there on my favorite Marvel movies to date! You can read my full review of the film here and see why I thought it was so good! After the press conference was over, everyone that was on stage walked out and took selfies and said hi to those of us from the press who were standing in the hallway. 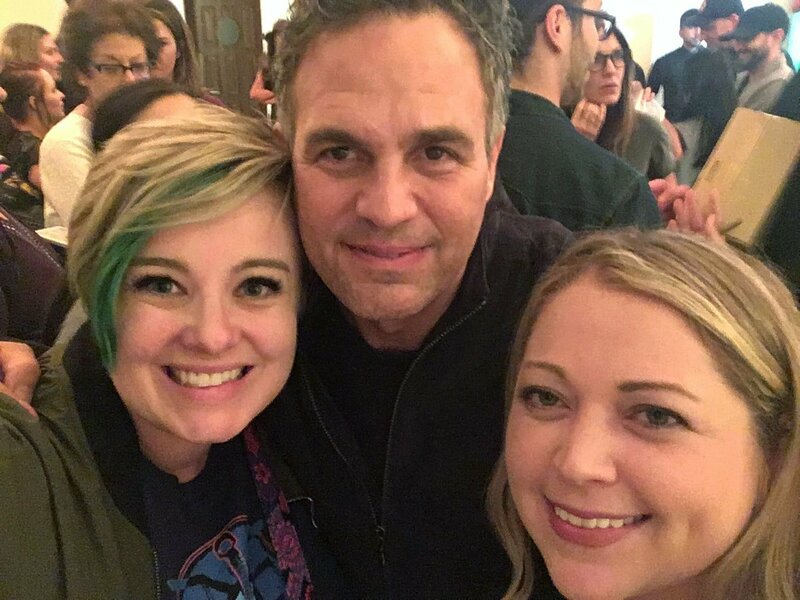 I got this fun selfie with Mark Ruffalo and totally chickened out when I had the chance to get a selfie with Chris. I think I’m finally over it, but it took me about two weeks to stop cringing anytime I saw any of the other Chris Hemsworth selfies from people in our group because I didn’t ask for one. 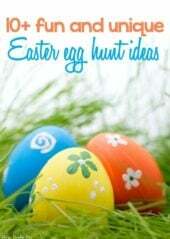 Total bucket list fail! The press conference was still an amazing experience and selfie failure aside, one of the highlights of my blogging career! I can’t wait to see Thor: Ragnarok in theaters again this weekend! In Marvel Studios’ “Thor: Ragnarok,” Thor is imprisoned on the other side of the universe without his mighty hammer and finds himself in a race against time to get back to Asgard to stop Ragnarok—the destruction of his homeworld and the end of Asgardian civilization—at the hands of an all-powerful new threat, the ruthless Hela. But first he must survive a deadly gladiatorial contest that pits him against his former ally and fellow Avenger—the Incredible Hulk! “Thor: Ragnarok” thunders into U.S. theaters on November 3, 2017. Watch the latest trailer below then read my spoiler-free full review of Thor: Ragnarok here.